Just about any nutritionist or personal trainer will advise that you work some healthy nuts (like almonds and walnuts) into your diet. They're a great replacement for less healthy between-meal snacks and they have an awful lot of nutritional value for something that comes in such a small package. They support heart health, promote weight loss, they're a good alternative to meat as a source of protein and healthy fat, and they pack a decent amount of fiber to help digestion and make you feel more full on less calories. You can get your nuts in raw or roasted form from a can or a bag, but another means that adds some variety and versatility is to get some spreads. Of course, peanut butter is the most well-known of the bunch, but the stuff that dominates supermarket shelves also tends to be the least healthy option - packed with unnecessary refined sugar, extra sodium, and hydrogenated oil. Nuts 'N More sells the type of nut butter spread you should be looking for - all-natural peanut and almond butters with minimal processing. The only additives in these spreads are beneficial - they're fortified with whey protein and flaxseed. 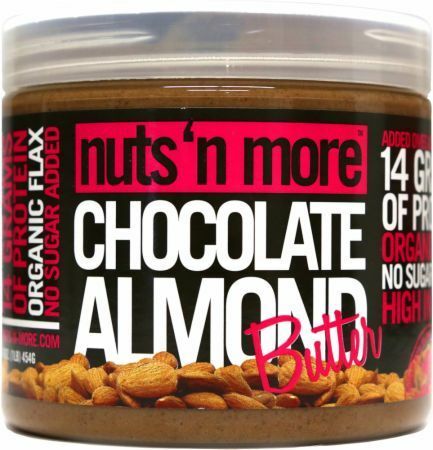 Peter Ferreira and Dennis Iannotti, both fitness and nutrition experts, helped start Nuts 'N More in 2008, mostly promoting their spreads for post-workout protein replenishment. In 2013 company was featured on the ABC show “Shark Tank,” where they struck a deal with Mark Cuban and Robert Herjevic for a $250,000 investment to further develop and market their products. The protein content of their spreads definitely has it all over typical peanut butters - the 14g per serving is exactly double that in a serving of the standard Trader Joe's creamy unsalted peanut butter, for example. Dietary fiber is also a bit higher at 5g versus 3g per serving. There's no sodium and no added sugar, as well. And the flaxseed oil enhances the alpha-linoleic acid content already present in nuts, which the body converts to the beneficial EHA and DPA shown to have a wide range of heart health benefits. They have chocolate, toffee, and pumpkin spice varieties that manage to be no higher in sugar content than a standard jar of peanut butter either, as they use xylitol, the sugar alcohol sweetener commonly used in sugar-free gums that has been shown to remineralize the teeth. 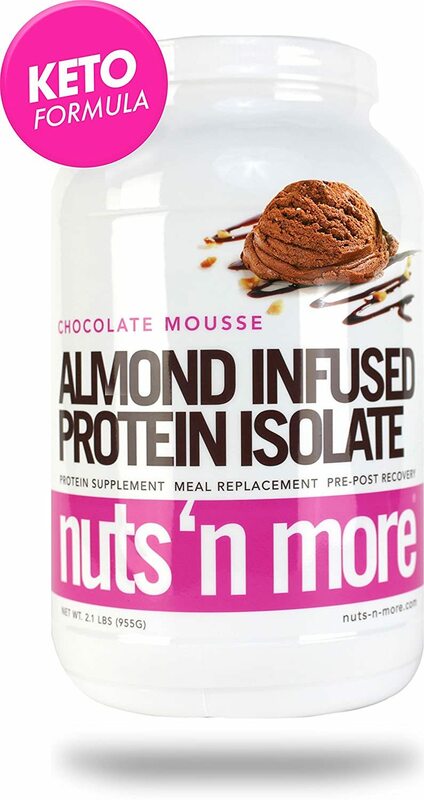 Try Nuts 'N More spreads for post-workout protein replenishment. So what's to stop you from going out right now and replacing all the Skippy Natural in the pantry with their spreads? Well, all that added health benefit doesn't come cheap. The peanut butter runs $10 to $11 per jar and the almond butter will set you back $12. Almond butter generally costs $8 to $10 anyway, so the price difference isn't exorbitant, but on the peanut butter end of things, they're competing with all-natural brands like the aforementioned Trader Joe's that come in at a lot closer to $2. If you're looking for a tasty workout supplement to replace a protein supplement that's not as palatable, Nuts 'N More spreads won't increase your bill all that much. With the added flaxseed, it might also be able to stand in for any EHA/DPA supplementation you might be taking. 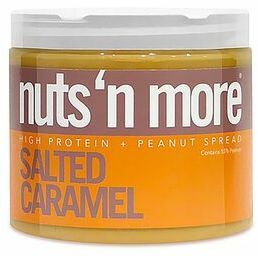 But if your primary concern is finding a PB that isn't loaded with trans fats and sugar, Nuts 'N More will hit the spot. 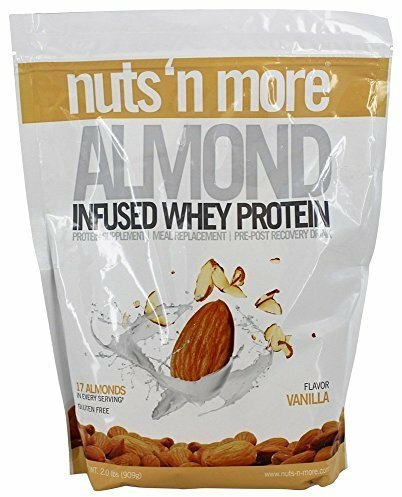 Almond Infused Protein Isolate was created. 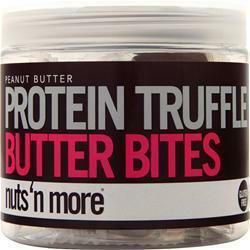 Protein Truffle Butter Bites was created. Sign up for future Nuts 'N More news! Click the button below to sign up for future Nuts 'N More news, deals, coupons, and reviews! Sign up for future Nuts 'N More deals and coupons! Click the button below to sign up for future Nuts 'N More deals, news, and coupons!